During low light times, the human eye has a more difficult time with depth perception, color determination, and peripheral vision. Additionally, as we age, our night vision deteriorates, increasing our risk. Eye strain and fatigue can also lead to dangerous drowsy driving. These tips can help improve overall safety for driving after dark. Properly aligning your headlights will help keep your beams where they are most useful for night driving and not blinding others approaching you. Headlight alignment can change over time from loosened light assembly, tire pressure, or where the load weight is being carried. Some headlights have a bubble level in the headlamp assembly to check aim, but often you will have to do it yourself. Check your owner’s manual for how to correctly adjust the aim of your high and low beams. It may take a few tries, but getting this adjustment dialed in can make a huge difference. 2. Clean your windshield—inside and out. There is nothing worse than streaks on your windshield, and they can be even more noticeable at night when light bounces off of streaks and grime. Oil from touching the inside of the glass can linger and smear, which can make for annoying glares. An easy trick to polish glass is to use newspaper that removes residue and doesn’t leave lint behind. 3. Avoid other light sources. Try to keep non-headlight light sources to a minimum to keep your vision sharp and your concentration focused. Dim the dashboard instrument panels, use the rear-view mirror dimmer switch, keep map lights and inside reading lights off, and avoid looking at the headlights of oncoming traffic. It is very easy to stare at bright road signs or other headlights, but this can distract your focus and cause eye strain. 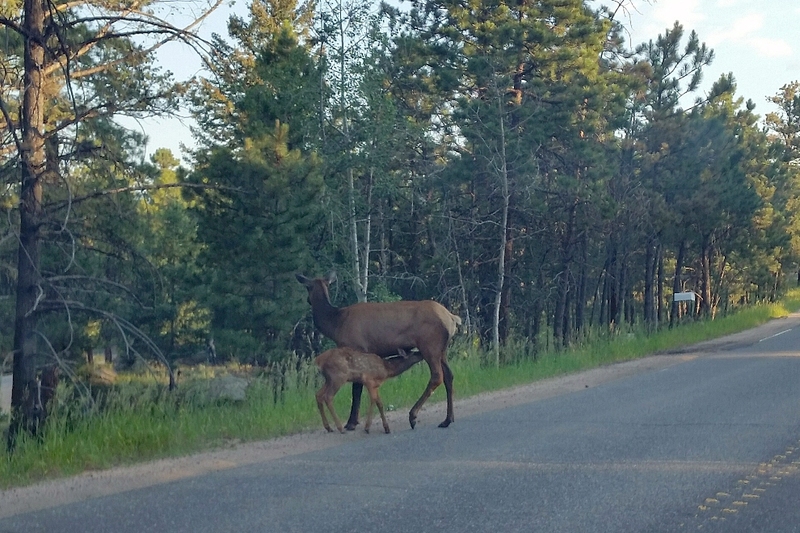 Wildlife is active during the night hours, and can often be found on roads that provide easier travel routes than other forested trails. Animal collisions can be devastating to the animal and drivers. The cover of dark can protect animals from predators but also conceals them from human eye detection on the roads. Be extra alert for animals during night hours, watch your speed, and scan ahead for retinal reflections of your headlights in the eyes of animals. Often you will see retinal reflections before you can see the actual animal ahead. Fog lights not only help you see the road during foggy weather but because they are mounted low to the ground, they spread wider than the low beams helping you see farther along the shoulder of the road. HID (high-intensity discharge) lights or LED (light-emitting diode) lightbars can also add to your function of the high beams for those who do a lot of night driving in low-density traffic areas. 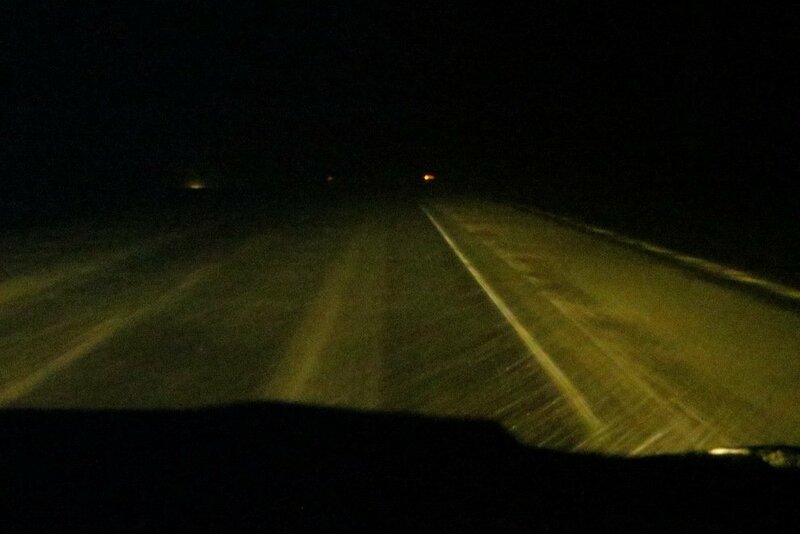 These lights should be used cautiously, as they can severely blind other drivers, and because your eyes adjust to the brightness, switching to your normal beams will then seem very dim. Ideally, these lights should be wired in using a relay to draw power directly from the battery while the control wire comes from a switch, the existing high-beams, or both. HID lights provide extra illumination at great distances in front of the vehicle, while LED lights provide excellent distributed light for illuminating sides of the road and road surface conditions. Unlike fog lights, HID or LED lights are not good for use in fog or heavy snow, as too much light is reflected back to the driver. The fog lights do help light up to sides of your vehicle but they do light up just in front of your vehicle thus reducing your night vision and seeing farther down the road. It is also illegal to approach an oncoming vehicle with your fog lights on or ant other axillary lighting. Some fog lights are brighter than your high beams. In foggy condition your fog lights don’t work properly if you leave your headlights on, the light from your headlights is reflected back to you thus blinding you. Buy a headlight restore kit or have them done professional. Will greatly improve the lighting distance. If both headlights and fog lights are on, both with hid lights, not being monitored by Highway patrols and local police depts? They are very blinding. Is there a legal max brightness for these lights? Close one eye when passing oncoming traffic. Open immediately after passing. Doesn’t work if you only have one eye to start with. Some .drivers either don’t know how blinding their lights are (probably out of adjustment) or just don’t care as long as they can see. I am in total agreement with Dennis. 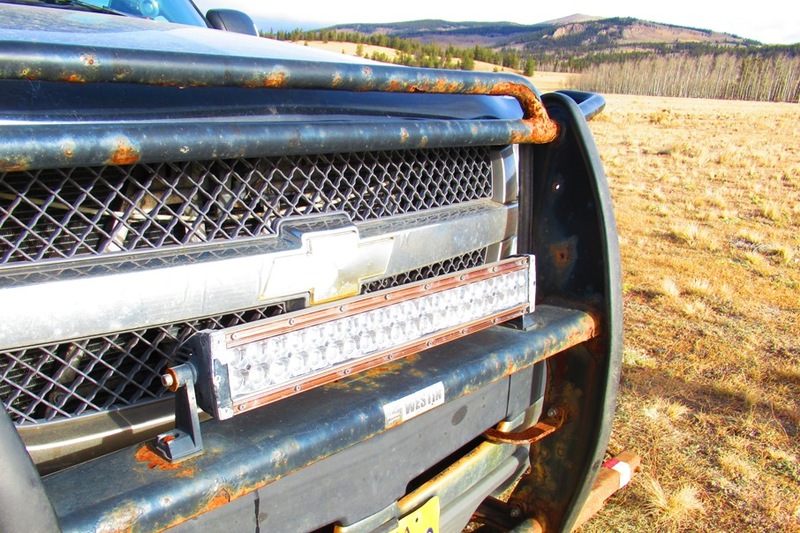 There are drivers who drive on the highway with LED light bars lit. You just can’t fix stupid. When oncoming travel with hi beams on , look to the right at the white line , this works try it . I do what Rich says and look to the right side of the road reducing the brigightd in my eyes. Doesyways work on “S” curves. What really brothers most is oncoming traffic, especially pick up trucks that have changed their headlights and fog lights with super bright lights. And then they forget to dim them or turn off the fog lights when approaching head on traffic. Scares me most when pulling a fifth wheel and on two lane roads. Lights should be adjusted when pulling a fifth wheel!!!! And turn off those fog lights!! Why isn’t the troopers cracking down on this illegal practice?? ?